Nielson Consumer Panel, also known as the National Consumer Panel (NCP), is a very popular consumer research program, besides paid surveys. This is the Nielson company main program to monitor and track consumer habits worldwide. Every week, millions of people willingly scan their purchases and send to Nielson for small rewards. But before you jump on board, let me ask these questions: Do you know what Nielson does with your personal information? Or Have you ever thought that your information might fall into the wrong hands, SCAMMERS? It is never a good way to make money online by giving away your personal information. The danger of Identity Theft is outweighed a few dollars that you can earn as rewards. It is not worth it! There are safer and better options for you to make money online such as blogging, affiliate marketing, or eCommerce. I make a good living as a blogger and an affiliate marketer. Here’s my profile. This is the safest and most lucrative online business today. I start my business website with just a few dollars. In one year, this same website generates over $6,000 per month passive income. 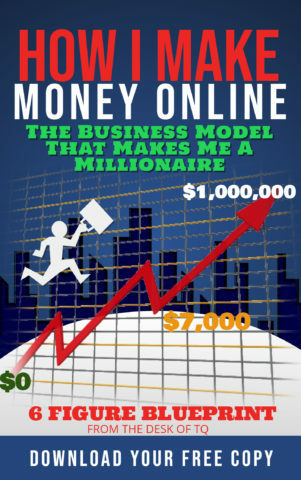 I have written a guide, How I Make Money Online, to teach people the process of making money with a website. You click on the link and grab a free copy for yourself. If you are thinking about joining NCP to earn extra money, please read this National Consumer Panel review to fully understand this consumer behavior tracking program before signing up and giving away your family information. I think a safer way to make money offering opinions is with survey sites. Sites like InboxDollars, Swagbucks, and Survey Junkies collecting consumer behaviors through surveys. This is much safe than allowing a company to track your personal information. How to Make Money With NCP? Should You Join the National Consumer Panel? NCP was formed by a joint venture between the Nielson company and IRI company. Both companies have over 94 years of combined experiences in the field of consumer behavior researches and studies. Before the joint venture, this program known as the Homescan Consumer Panel, which operates over 100 locations worldwide to collect and monitor consumer spending habits. NCP will sell the tracking information to marketing companies and manufacturers looking to improve their products, services, or customer relations. NCP is free to join. The program refers to its members as “Panelists.” The panelists are required to report their weekly household expenses to the NCP. In return, the panelists earn rewards points which they can later convert to gift cards, electronics, or other household items. You can apply to become a panelist of NCP by visiting the website and fill out an application. Visiting the National Consumer Panel website and completing the application does not guarantee you a membership account. Acceptance into the program is based on zip code, position availability, and meeting a specific household demographic that the NCP is currently needed. The initial application is to help the NPC determine your eligibility. Don’t feel bad if you are not qualified as a panelist. You can always try again later. Personally, I don’t understand why people competing to become a panelist when there are other opportunities online to make extra cash from home. You can click on the link to discover all the options. If the NCP accepts your application, they will email you an invitation with a link to complete the signup process for a membership account. The NCP might or might not mail you a scanner device. If you got one, then you can use it to scan all purchases. If you don’t receive one, you can download and install the NCP Mobile app which allows you to do the same. Once your account is activated and the scanner is set up, you are now ready to collect points and earn rewards. Panelists have two options to earn with NCP. The main way is to scan and upload purchased products. The second way is completing the follow-up surveys. NCP panelists are required to scan all the product that they have bought after every shopping trip. For products without barcoded, panelists must enter the product information manually. The scanner collects data related to the products such as price, quantity, and where the purchase was made. At the end of each week, the panelists are required to submit the data to NCP through the mobile app or by USB connecting to the computer. Once the weekly report is processed, the panelists receive points added to their accounts which can be redeemed for prizes such as gift cards, household items, kitchen appliances, and a few other things. The number of rewards points for each report increase depending on the length of time that the individual has served as a panelist. Bonus points are also awarded if no weekly submissions are missed. This process takes about an hour to complete. This is too much work with little rewards compared to other survey sites. I suggest you check InboxDollars, Swagbucks, Survey Junkie, and MyPoints before making the final decision. Follow up surveys is another way for panelists to earn points. From time to time, Nielson will send out follow up surveys to a few panelists requesting for more info or general impute on certain products that they bought. Follow-up surveys are usually offered to panelists based on matching shopping data, household demographics, and the needs of their current clients. Panelists can install NCP Connect software onto their computers to allow the tracking of how they use the internet, what they buy, and what they do with their computer. In return, NCP rewards the panelist with the usual points and sweepstakes entries. Then there are the sweepstakes in which panelists can participate for cash lottery prizes. These cash lotteries are held weekly, monthly, quarterly and annually, and include a Grand Prix Drawing of $20,000 every three months. As an NCP member, you are also enrolled in the company Reward+ program. This special program provides special discounts and perks on purchasing of products and services at major retailers. Each panelist, in their first year, earns 150 points per weekly transmission. This rate increases every year, and by the 5th year, the panelist will earn 280 points per transmission. Besides paying point, NCP panelists also receive automatic sweepstakes entries for each time they scan and upload the purchasing data to the NCP. The Lucky Weeks Sweepstakes: 10 panelists will win a $50 Visa gift card. The Monthly Sweepstakes: 25 lucky panelists will win a $500 Visa gift card. The Super Quarterly Scanner Sweepstakes: 40 Panelists will win a $500 Visa gift card. The Quarterly Grand Prix: 1 lucky member will win a brand new Ford or a check for $20,000. NCP Connect Quarterly: 10 panelists will win a $500 Visa gift card. The longer you are serving as NCP panelist, the more points and bonuses you’ll earn. Panelists cannot request a payout until their account balance reaches the minimum 8,000 points. Points Conversion: 4,000 points is about $10. So, you must have at least $20 worth of points (8,000 points) before you can redeem. Once the account reached the minimum threshold, the panelists can use the NCP catalog to choose the payment option. Earned points can also be used to purchase sweepstakes entries or used for NCP Perks & Discounts. See payment & reward system for more info. The payment process takes 6 to 8 weeks to receive once requested. People have reported that the waiting time to become NCP panelist is more than a year. If you don’t mind waiting and letting NCP track your family, then NCP is for you. If you want to make money today, not waiting for a year, then you can visit other popular survey sites that pay cash such as Ebates and InboxDollars. The other issue you have to deal with is the scanner. If for some reason you decide to stop participating in the NCP panel, you are required to send the scanner back or paid for it. Failing to do this, you will face collection actions and negatively affect your credit. If you are willing to work this much, then why work for the points. You can make a lot of money online. Check out the #1 way to make money online. Is National Consumer Panel a scam? Nielson is a trusted consumer research company. NCP is owned and operated by Nielson. It is safe to say NCP is not a scam. However, I don’t like the idea of having a company tracking my everyday habits. It can be dangerous if this personal information falls into the wrong hands. Like other consumers, I find scanning every product every day to be a hassle, and the limited rewards just not worth the effort. I understand everyone is different. You might enjoy being an NCP panelist. If you do, here are a few member complaints and Pros & Cons you should know before joining. A few complaints do not make a company a scam. Companies need consumer feedbacks to improve their products or services. Complaints are one form of feedback. Knowing the common panelist complaints will help you understand more about NCP. You can also visit the NCP BBB page to learn more. I will break down the complaints in a Pros and Cons style. The Best Customer Support: Nielson is a reputable company that has won three years in a row as the Best Companies to Work for Award from New York State. So, if you have a problem, expect a quick and courteous response. A company that is truly rewarding customers for doing something they do every day, which is shopping. If taking surveys is not for you, then the NCP is your alternative. The NCP Mobile app is better than the handheld scanner. Now you don’t have to deal with waiting for the scanner to earn. Weekly scanning and reporting are fun. This one can go both ways. It is more of a personal preference. Acceptance is not immediate. This is the top complaint about NCP. Some members have reported waiting 7 years before getting accepted into the program. Why wait this long? The second major complaint is too much work for scanning and reporting product info. It sometimes requires to manually enter non-barcode items like fruits and veggies. It takes too long to earn rewards. I agree with this one. The 8,000 points minimum to redeem is extremely high. It will take years to accumulate to reach this threshold. NCP does not offer cash rewards. The closest to cash you can get is gift cards. No PayPal deposit like Ebates and InboxDollars. As stated above, you do not earn cash with NCP. If you are looking for ways to make a living online, then NCP is not a viable option. You will never get rich taking surveys or participating in consumer studies. Their pay rate is too low. On average, participants make less than $2 an hour. When I started out looking for ways to make a living online, here’s my profile, I thought getting an online job such as taking surveys or join focus groups are good options to earn a full-time salary. I was wrong! I even spent money paying online companies to help me get an online job. You know what? Most of them were scammers. I lost a lot of money until I found this Free Online Entrepreneurs Community which taught me how to build a website to earn full-time passive income. It took me more than two years to realize the best way to make money online is creating my own Website. You might be thinking that is taking a lot of money and time to create a blog or website. Well, this is not the truth. 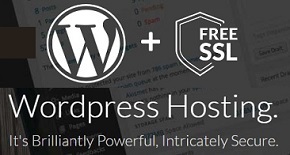 Today, you can create a WordPress Website in less than a minute. Here’s a free lesson to Build A Business Website in Less Than A Minute. I used a free online training program to start this successful business. You can do the same. It literally teaches you the step by step how to create a $6,000 per month business website. If you want to make a living working online and from home, then I invite you to follow the link below to join and train with a professional community. This way you can have access to the professional helps as you create your own online success. In my opinion, the reward from the National Consumer Panel Review is not worth the time and efforts. Furthermore, the idea of being tracked by a company is not appealing to me. Let me know what your experience with NCP.